When seeking to publish a research article, researchers are vying to maximize the visibility and impact of their work. But they must also conceded to pressures to publish. It can be costly in both time and resources to apply for publication. Researchers must seek venues that are likely to publish their work, but that offer the highest attainable visibility. The strategies and priorities guiding how researchers apply for publication has not been widely studied. In 2009, I joined a team of researchers interested in investigating this process. As an undergraduate student at McGill University, I was interested in the history and process of scholarly publishing. I was curious about the processes through which research results were shared, and, in particular, how effectively they were shared. During my third year, I contributed to a research effort to investigate how researchers submit their articles for publication. We surveyed researchers regarding an article they had recently published—where it was submitted and where it was accepted. By analyzing the submission history of these articles, we hoped to illustrate strategies researchers use when applying for publication, and how these strategies influence the impact of their work. Our study was published in Science in October 2012. Here, I briefly summarize what we did and what we found. Was the research paper published in the first journal submitted to? If not, what was the name of the journal previously attempted? We received responses for 80 748 research articles. We created a network of journals based on the associations established when a journal is rejected from one journal then resubmitted to and accepted by another—refer to image below. Arrows indicate the direction of the resubmission. Resubmission network as developed for the paper Flows of Research Manuscripts Among Scientific Journals Reveal Hidden Submission Patterns. This network provides insights into perceptions of journal importance and strategies used to publish research papers. In addition, we collected and analyzed the citations each paper accrued within three to six years of publication, to investigate whether these perceptions and strategies influence publication impact. Researchers strive for high impact journals, but seek to minimize risks of rejection. Most papers were initially submitted to the journal that would publish them. 75% of all published articles were accepted on initial submission, with a range of 67% to 87% across different fields. This suggests that researchers are largely successful in targeting a journal that is likely to publish their work. But, significantly, researchers seem to be balancing the risk of rejection with publication in a higher impact journal. Researchers preferred to submit to high impact journals. High impact journals were more central in the network, and received more initial submissions. If rejected, researchers resubmitted to lower impact journals; but, notably, the change in impact factor was typically very small. It appears that researchers are striving to ensure publication in as high impact a journal as possible. To determine whether there were any discernible patterns in post-publication impact for these submission strategies, we compared the number of citations accrued within a few years of publication for initial submissions and resubmissions. Interestingly, resubmissions were significantly more cited than initial submissions published in the same year in the same journal. But why would resubmissions receive more citations? We proposed that resubmissions benefit from the additional round of peer review. Perhaps the additional feedback and refinement improves the quality of the final product, and, consequently, research impact. Resubmission to a different discipline may be costly. Our resubmission network included clusters of journals that were more tightly interconnected. 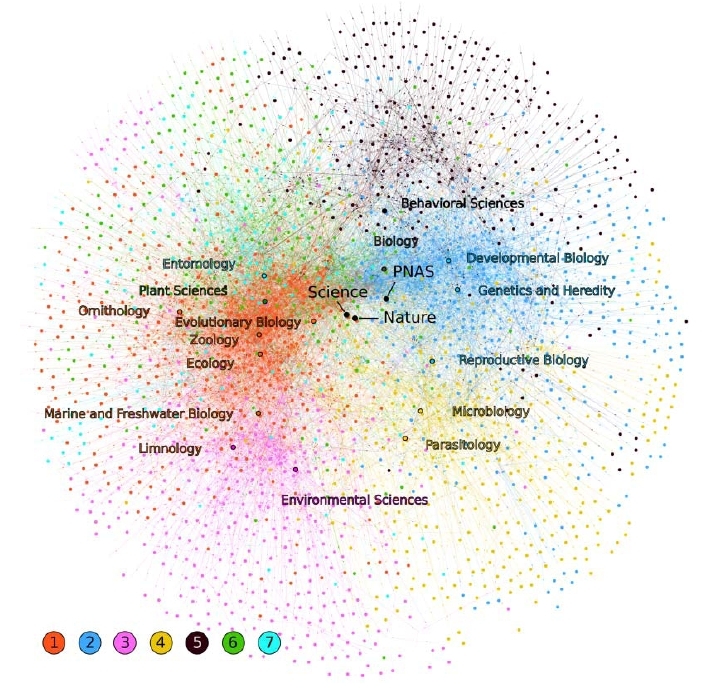 These clusters were consistent with ISI journal categories for fields in the biological sciences—plant sciences and environmental sciences, for example. Thus, researchers were more likely to resubmit their paper to a journal within the same discipline as the initial submission. However, there were some cross-discipline resubmissions, as illustrated by the connections between the different clusters in the resubmission network. But this resubmission strategy may be a risky one. Papers that changed discipline during resubmission received fewer citations than the average resubmission. This suggests that publishing in a different discipline than initially intended may hamper publication impact. Other factors motivating submission strategies. Our study provides an interesting snapshot of some researchers’ publication strategies. But it leaves much to be desired. It would be interesting, for instance, to investigate the factors that motivate the selection of prospective journals in more detail. What factors do researchers consider important for ensuring the visibility and impact of their work? Researchers are probably weighing more factors than highest attainable impact factor and lowest risk of rejection. They may prefer a journal that publishes online, in print, or both. They may strive for open access journals, or journals that are indexed in particular databases. They may be sensitive to language, geography, or other factors that determine eligible readership. In short, our study provided some valuable insights into a few trends in submissions strategies for the biological studies, but additional research is required to determine what other factors are involved and how researchers negotiate their options. For a complete and comprehensive account of how we conducted our analysis, please refer to the full-text. Photo credit: Tobias von der Haar via Flickr. information specialist (MLIS). content engineer. sometime researcher.